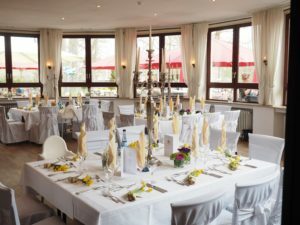 As you are planning your wedding, you have likely put some thought into how you will decorate your reception. 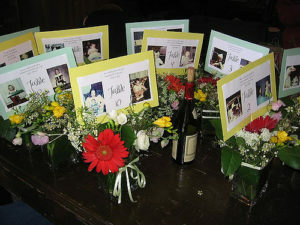 Many brides prefer floral arrangements. Here are Five Easy Flowerless Centerpieces. Before deciding on a design, there are a few questions you need to ask yourself. What palette you want to use and how you want to design it? 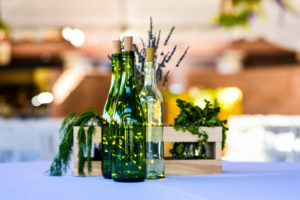 Using simple items from wine bottles, simple elegant lights, to personalized table centerpieces will create the perfect ambiance for your special day. Decor and lighting plat a huge part in creating the right mood at your reception. 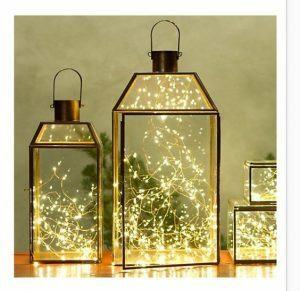 Whether you wedding style is romantic, glamorous, rustic or use simple lanterns. Elegant lights create the right ambiance for any wedding. A once small and plain venue was transformed into an elegant garden dream wedding. Each table had 3-4 bottles with just the right amount of glow from the twinkling lights. All bottles came in different hues ranging from amber to clear to green and each uniquely different. The romantic display on the tables made for a perfect evening for the bride and groom. All bottles have the lights inside with its own and an off button. 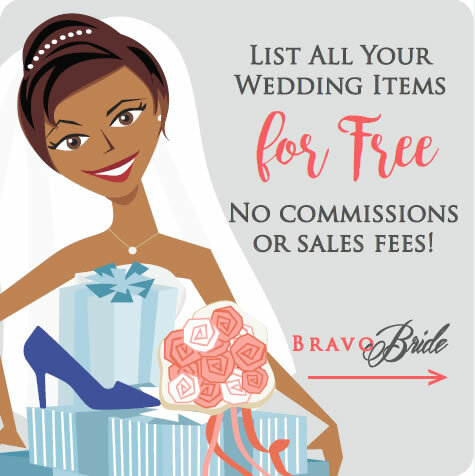 Check out BravoBride for information about the Twinkle Lights Wine Bottle centerpiece. Wine bottle, champagne, mini bottles, or any type of bottle are budget friends ways to create DIY centerpieces for any wedding. You can personalize them with names or themes. 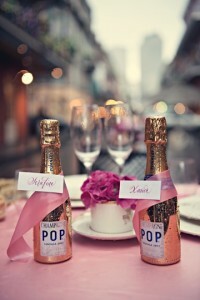 Your guests will not mind a bottle of champagne waiting for their arrival to their table. Skip the candles and the flowers. Do you have your partner have a favorite sport, food, or hobby you both share? Your guests wont mind having a little piece of home at their tables. Why settle for just one theme when you can incorporate your favorite styles including personalized ideas. Use Photos! Use photos from your engagement or photos of your guests for each table. They add a personalized touch to each table that will make your guests feel welcome. Candles are great centerpiece items for tables because they are a simple and elegant way to light up the room. Its an budget friendly and romantic element that can be incorporated into every table. You can use everyday items from mason jars, wine glasses, small or tall votives for DIY candle centerpieces. Fire and water centerpieces add an alluring aesthetic.